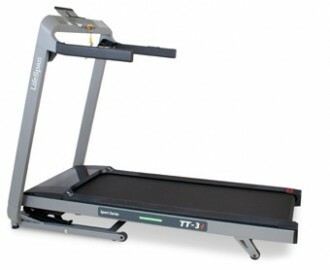 TT3i treadmill the stylish and high-tech treadmills.TT-3i is a little different compared to the other treadmills in our assortment. 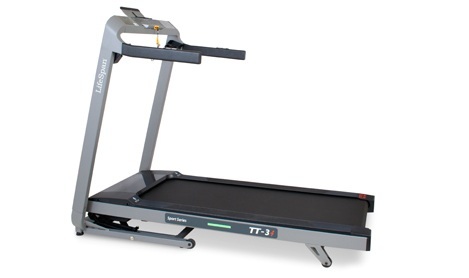 The Treadmill Plus app integrates your tablet or smart phone and Bluetooth operated treadmill completely. The app contains extra display options, informative readings and graphical functions that are not available on the training computer. Including: A graphical display of your heart rate compared to your specific heart rate zone. Graphical display of athletics track with lap times, progress and times. Easy setup screens let you choose exercise programs from the training computer or the programs of your IHP workout calendar. The TT-3i also has a spacious running surface of 20 x 53”. This gives you the comfort and safety you need during your workout. With a total weight of 93 kg. For each goal the TT-3i has a solution. You can choose from different speed related and hill programs. With the H.R.C. programs you can train in the correct heart rate zone. TT-3i is equipped with a 2.5 hp engine. The maximum user weight is 130 kg.